As of the census of 2000, there were 23,324 people, 8,005 households, and 5,291 families residing in the city. The population density was 6,269.2 people per square mile (2,420.8/km2). There were 8,492 housing units at an average density of 2,282.5 per square mile (881.4/km2). The racial makeup of the city was 94.33% White, 1.43% African American, 0.22% Native American, 2.23% Asian, 0.02% Pacific Islander, 0.93% from other races, and 0.84% from two or more races. Hispanic or Latino of any race were 3.10% of the population. In terms of formal education, University Park was Texas' best educated city, edging out Highland Park, with 82.8% of adults age 25 years or older holding an associate degree or higher, and 80.5% of adult residents possessing a baccalaureate degree or higher. There were 8,005 households out of which 40.8% had children under the age of 18 living with them, 56.7% were married couples living together, 7.6% had a female householder with no husband present, and 33.9% were non-families. 27.6% of all households were made up of individuals and 8.0% had someone living alone who was 65 years of age or older. The average household size was 2.59 and the average family size was 3.26. In the city the population was spread out with 28.2% under the age of 18, 16.4% from 18 to 24, 26.2% from 25 to 44, 21.3% from 45 to 64, and 7.9% who were 65 years of age or older. The median age was 31 years. For every 100 females there were 87.2 males. For every 100 females age 18 and over, there were 83.1 males. According to a 2007 estimate, the median income for a household in the city was $151,418, and the median income for a family was $200,000+, making University Park the seventh most affluent neighborhood in the USA. Males had a median income of $100,000 versus $44,007 for females. The per capita income for the city was $63,414. About 3.3% of families and 5.9% of the population were below the poverty line, including 3.9% of those under age 18 and 1.8% of those age 65 or over. University Park is served by the Highland Park Independent School District (HPISD). As such, it is served by the HPISD's McCulloch Intermediate School and Highland Park Middle School (which share a campus located partially in Highland Park and partially in University Park), and Highland Park High School located in University Park. There are two HPISD elementary schools located in University Park (Hyer and University Park), and two HPISD elementary schools located in neighboring Highland Park (Armstrong and Bradfield). 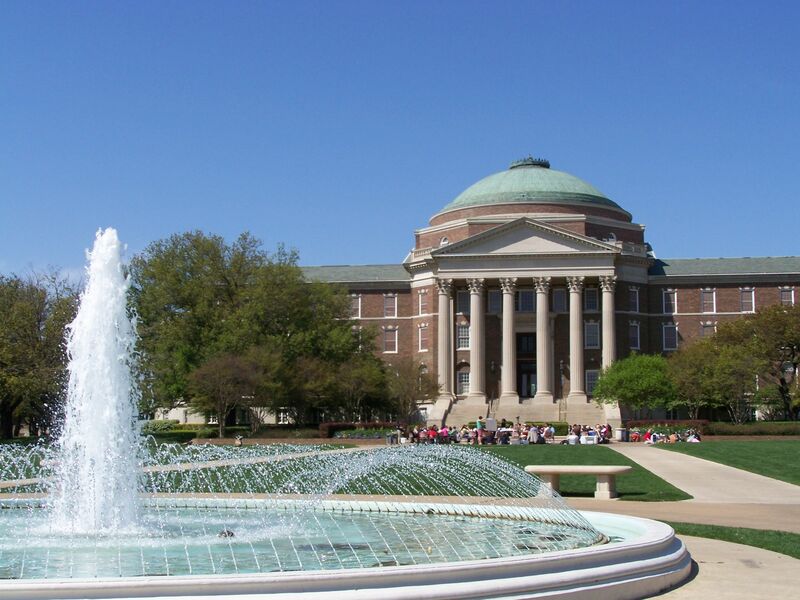 Southern Methodist University is located in the city of University Park. The Meadows Museum, which houses the largest collection of Spanish art in the United States, can be found on campus. Dallas County Community College District operates nearby community colleges.